At Integrated Periodontics & Dental Implants, we are committed to providing conservative and effective periodontal, cosmetic and dental implant care to our patients with a focus on compassionate and individualized treatment. 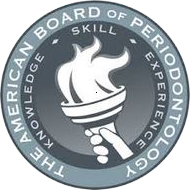 All of our doctors are Board Certified in Periodontics and Dental Implant Surgery. Dental implants are clinically proven to be a reliable treatment option for missing teeth. When referred, we work closely with your referring doctor for an optimal result. Gum disease is the #1 cause of tooth loss. We are specialists in keeping your natural teeth. Our philosophy is that each patient’s needs are unique, and we focus on using our special training in periodontics and dental implants to help you achieve your oral health goals. We work as a team with your general dentist and any other needed specialists to achieve optimum results. We have been serving the community for more than 21 years, and know how important prompt and high-quality care is when addressing periodontal disease. If you have been referred to our office by your general dentist, it is very likely that your periodontal infection has progressed beyond the mild stage. Periodontal disease is responsible for over 75% of all adult tooth loss in the United States. Please call us at (412) 963-1911 or request an appointment at your earliest convenience. Minimally Invasive Gum Recession Treatment Before pinhole surgery, gum recession was treated with a traditional surgical scalpel. Now, many cases can be successfully treated faster and less invasively through the revolutionary Pinhole Surgical Technique™, also known as the Lunch Time Gum Lift. At Integrated Periodontics and Dental Implants, our dedicated, residency-trained doctors provide periodontal and dental implant care to achieve a higher level of oral health for each patient. Each of our doctors has completed an accredited, university-based, surgical residency program in addition to the traditional four year dental degree. 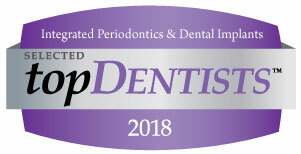 With decades of experience, the practice prides itself in comprehensive and collaborative periodontal and dental implant treatment that is unique to each patient. The practice relies on a team environment in which our doctors provide their expertise and unique insight into developing patient-specific treatment plans. Other members of the team may include a number of dental professionals such as your general dentist, other dental specialists, hygienists, and dental laboratory technicians. The integrated team provides patients the education and support they need to make decisions about their care. At Integrated Periodontics and Dental Implants, building an environment of comfort and trust is the standard, not the exception. Serving patients from Pittsburgh & the surrounding areas of Fox Chapel, Oakmont, Natrona Heights & Allegheny Valley. Serving patients from Warrendale and the surrounding areas of Cranberry, Wexford, Sewickley & Pine Township.